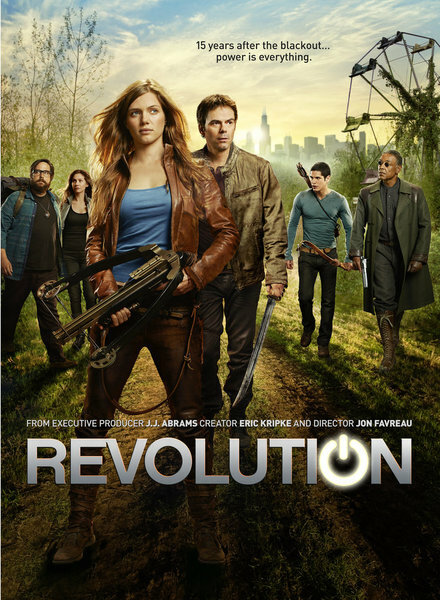 NBC’s Revolution finally halted the declining numbers it has been suffering from over the past few weeks as the show posted a 2.6 rating in the 18-49 demographic for a second week in a row with just over seven million total viewers. And actually, this might be looked at as a bit of a gain, because TV shows typically suffer holiday slump during the Thanksgiving week (Revolution‘s lead-in The Voice actually hit a season low on Monday). So maybe the decline has leveled off for now and it can go into the hiatus (which it does after November) on less of a foreboding note. And if Revolution doesn’t go any lower than this, it should be fine. It’s still winning its timeslot by a comfortable margin with the 18-49 demo and its performing far better than anything NBC has had at the Monday 10 PM EST hour in several years. Next week’s numbers will be telling, but it looks like it is okay for now. AMC’s The Walking Dead saw its numbers come down a bit closer to Earth this past Sunday (back to that holiday slump) as it pulled a 4.9 rating and 9.2 million total viewers. That’s well below its high point from the season, but still better than anything the broadcast networks aired last week except football and The Big Bang Theory. And on Friday night, Syfy’s Haven saw its numbers improve as it pulled a 0.5 rating and 1.6 million total viewers. That’s better than it has been doing the last few weeks and that series has already received the go for a fourth season, so it’s safe anyway.